With Armadillo Audio Notes taking notes during meetings and lectures becomes a breeze. 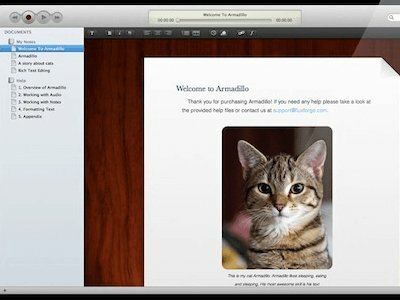 Armadillo combines old school text notes with high quality audio recordings. Vector is "the audio editor for the rest of us". Yes, yes, cheesy cliché. But it's the truth. 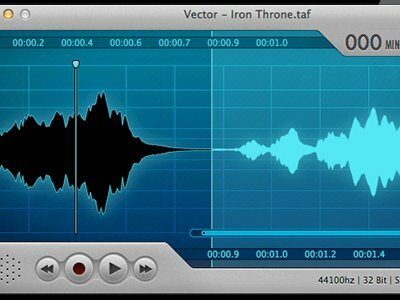 If you want to edit an audio file without getting a PhD in sound engineering first then Vector 3 is your best bet! 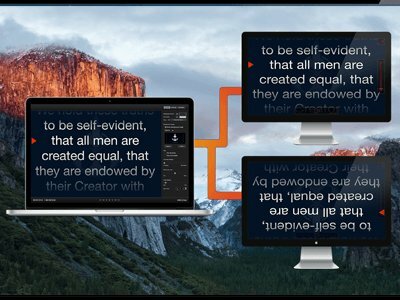 Power Prompter is an easy to use teleprompter for Mac OS X. We worked together with Suborbital Softworks on this project and geniuinly believe it is the best Mac teleprompter on the market.